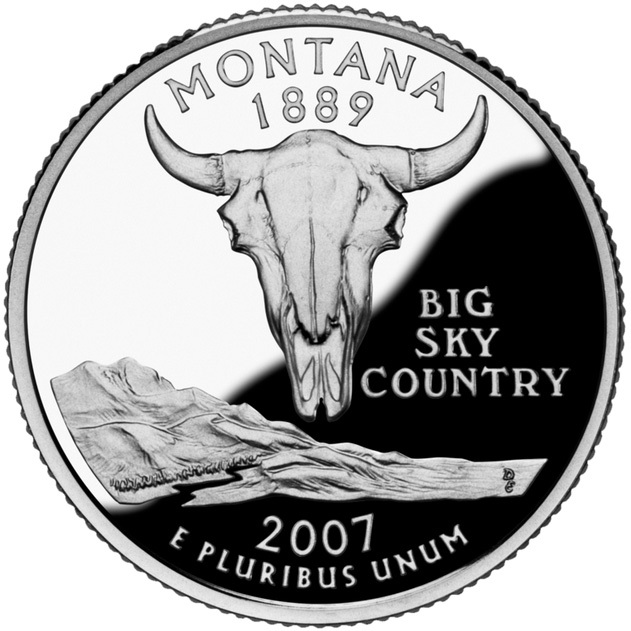 The U.S. Mint's bicentennial commemorative quarter for Montana features a bison skull, mountains, the Missouri river, and one of Montana's nicknames: "Big Sky Country." Montana became the 41st state in 1889. Public domain image on Wikipedia. The bison skull is a sacred symbol to many of Montana's Native American tribes. The bison skull symbol honors the rich Native tradition of Montana and is found on schools, license plates, and road signs across the state.